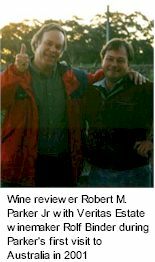 In 1999, after several study visits to Spain by Yalumba luminaries Robert Hill-Smith and Louisa Rose, Tempranillo was grafted onto old Barossa rootstock. 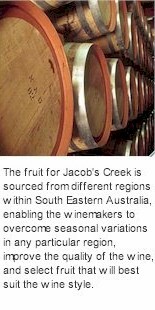 Known to thrive in a range of conditions around the world, Tempranillo has an affinity with the Barossa region, where an ideal climate helps to showcase the stylish fruit flavours of this emerging variety. 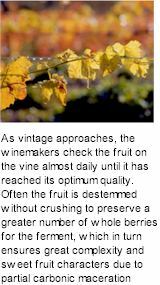 The experimental fruit of Hill-Smith and Rose whet their appetites and led to further plantings. 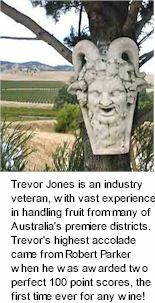 Barossa is Australia’s most famous wine region, renowned for producing some of the best Shiraz (Syrah) wines in the world. 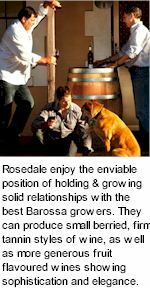 Rosedale Wines specialises in producing wines from the western Barossa Valley, with emphasis on Shiraz and Rhone style blends. 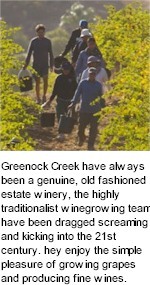 The estate vineyards begin near Rosedale just to the northwest of Lyndoch and stretch along the Barossa boundary to Greenock. 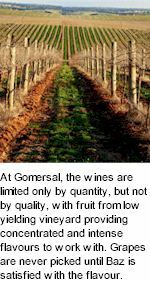 Soils vary significantly, but in the Rosedale area they are generally shallow, with broken shale through red brown earths and Terra Rossa. 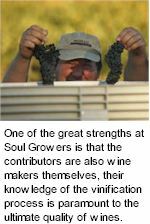 The ancient soils and Mediterranean style climate typically produce low yields of small berries with thick skins. 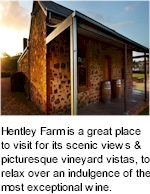 Vineyards at Lyndoch and Rosedale, south of Gomersal Road, produce modest yields and the sites demand harvesting within a small window of opportunity, which allow for lifted ripe vibrant black currant characters, verging on casis with solid just ripe tannins allowing a wine of inky colour and powerful structure to be made. 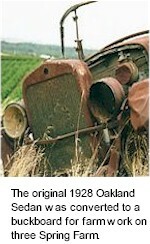 All that O’Callaghan experienced is reflected in the Rockford fundamentals. 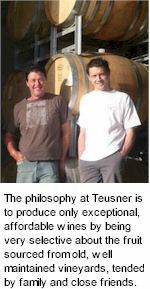 Quality winemaking is a skilled craft that consumes a very large part of one’s life, so it must give you joy. 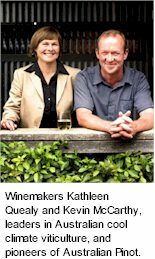 O’Callaghan's parents and grandparents were grape growers, so his childhood was spent in their vineyards. 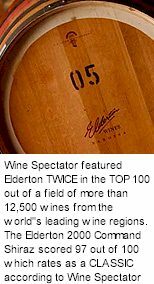 His family moved to northeastern Victoria where his father managed a vineyard for Australia’s then largest family winemakers, Seppelts. 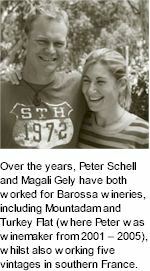 In 1965 O’Callaghan followed a natural path and started as a trainee winemaker at Seppelt’s Rutherglen winery. 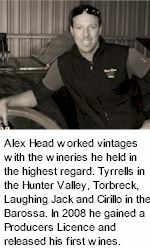 It was a wonderful apprenticeship in the old, ordered, slow and gentle Australian wine trade. 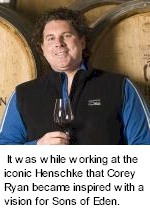 The wines he drank, the winemakers from previous generations with whom he associated and everything he absorbed in that period had a major influence on the way Rockford is today. 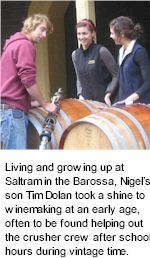 Although O’Callaghan spent all his life in the industry, the pleasure he derive from walking through rows of vines or casks filled with wine has not diminished. 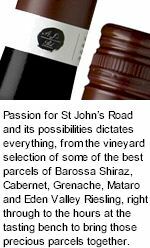 Richmond Grove believe that to make the best wine, the grapes must be selected from the region most suited to that particular grape variety. 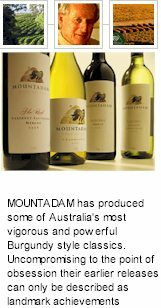 For this reason the estate sources grapes from across Australia's most renowned wine making districts to create a portfolio of wines that showcases the distinctive characters of geographical regions within Australia. 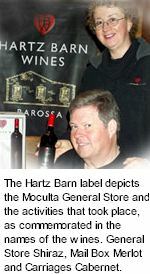 Cockatoo Ridge is headquartered in the Barossa Valley on the principal road between the two main Barossa towns of Tanunda and Nuriootpa. 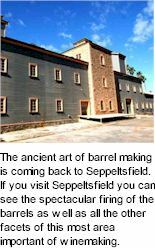 This high profile site was once the old Hardy's Siegersdorf winery, built in 1930. 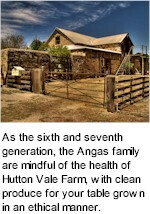 The property, held under long term lease by Cockatoo Ridge, is being renovated and will include administration, triage (bottle fermenting of sparkling wine) and barrel storage. 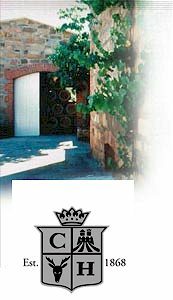 Ringland has worked at the eminent Rockford in Barossa, as well as for distinguished estates in Spain, Italy and America. 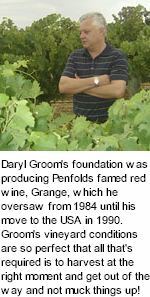 Although he lived in the Barossa since the early 1980s, he was fortunate enough to purchase a property on the Barossa Ranges in 1994. 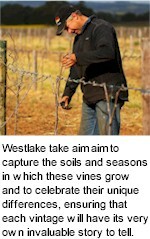 At 1,500 ft above sea level, Chris Ringland has taken his time to restore the seven acre site which was planted in 1910. 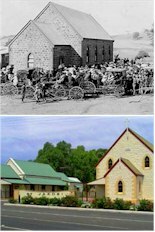 It took ten years. 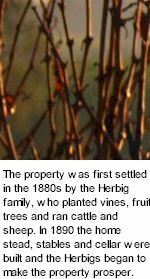 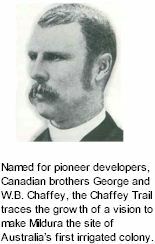 When he purchased the property, the northern, southeast facing sector, surrounding the old settlers cottage, was bare pasture. 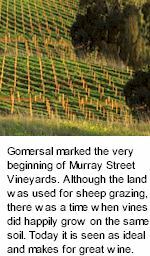 Ringland grazed sheep here for a few years, before planting 250 olive saplings in 2000, with the view of producing small amounts of olive oil. 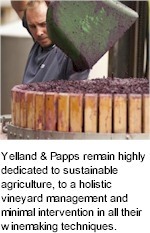 Dry grown, they have produced under 100 litres of olive oil in their lifetime. 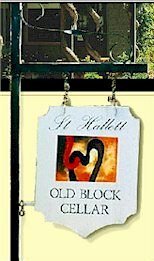 There is nothing quite as satisfying as home grown olive oil. 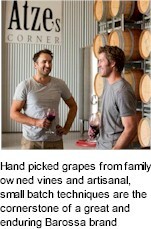 Home grown Shiraz beats it, but not by all that much. 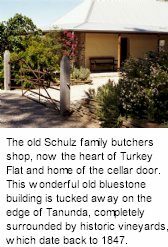 Like many of their fellow Germanic migrants they made their way by ox cart to Bethany, the Barossa Valley’s first settlement, where they established a home and cleared the land to grow crops and graze animals. 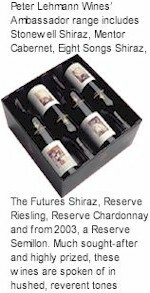 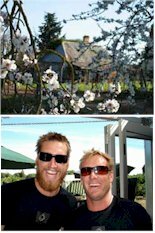 The Schrapels planted their first vineyard in 1852 from cuttings carefully nursed from Europe. 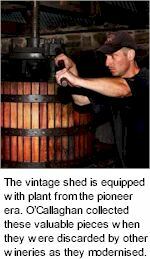 A wine cellar was also built, but despite Johann’s reputation as an early colonial winemaker, the family concentrated on grape growing rather than winemaking for the next four generations. 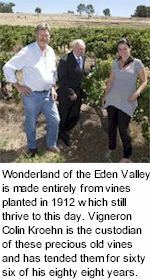 More than a century later in 1981, Johann’s fifth generation descendants, brothers Geoff and Robert Schrapel, established Bethany Wines in a quarry, where the pioneers had hewn stone for their homes, high in the Barossa Ranges overlooking the family’s vineyards and the historic village of Bethany. 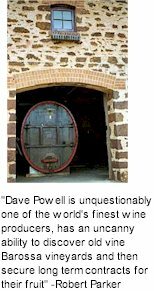 Barossa Valley Estate was established in 1985 by a group of independent growers who saw an opportunity to add value to their harvest. 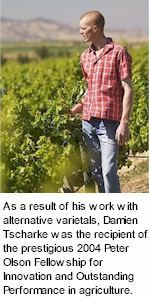 The Winery was initially established as a co-operative with the objective of making and marketing premium bottled wine. 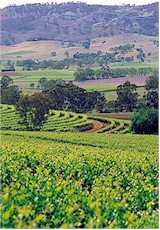 The Barossa Valley Estate grape growers and the winemaker have a very close relationship due to this structure and the synergy that has developed is evident in the richness and depth of flavours in the wine.